I bought the bag with some trepidation because it is technically "oversized" for airline baggage. But I tried Yan's approach of packing my bike in there and then pushing in all the extra spaces to compact it, then flew on Alaska Airlines. They seemed to know it was a bike, but gave me zero hassles about it. 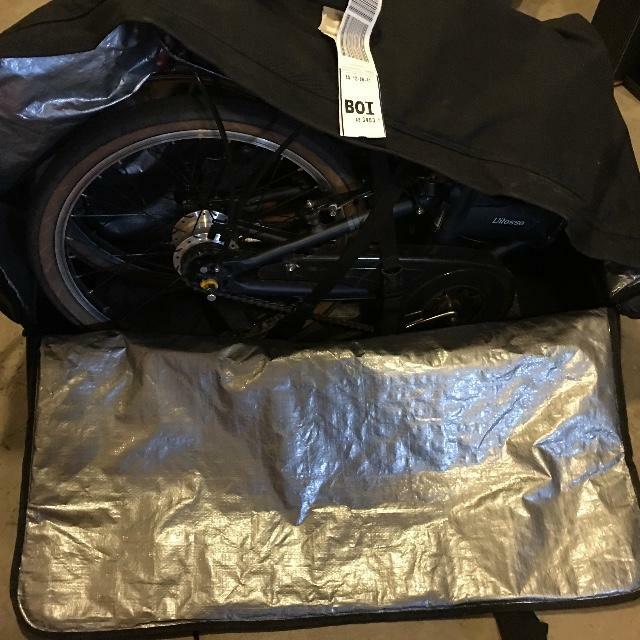 It is easy to pack and unpack the bike in there. I am presently using a Dahon with 20" wheels, though intend to get a Downtube soon. The Dahon fits fine. I'm not sure how many trips the bag will last for, but it held up fine for its first trip. How often do you use your suitcase?